LS-F13307 is a 96-well enzyme-linked immunosorbent assay (ELISA) for the Quantitative detection of Chicken LYZ / Lysozyme in samples of Plasma and Serum. It is based upon a Sandwich assay principle and can be used to detect levels of LYZ / Lysozyme as low as 3.12 nanograms per millilter. Short term: 4°C; Long term: see manual. 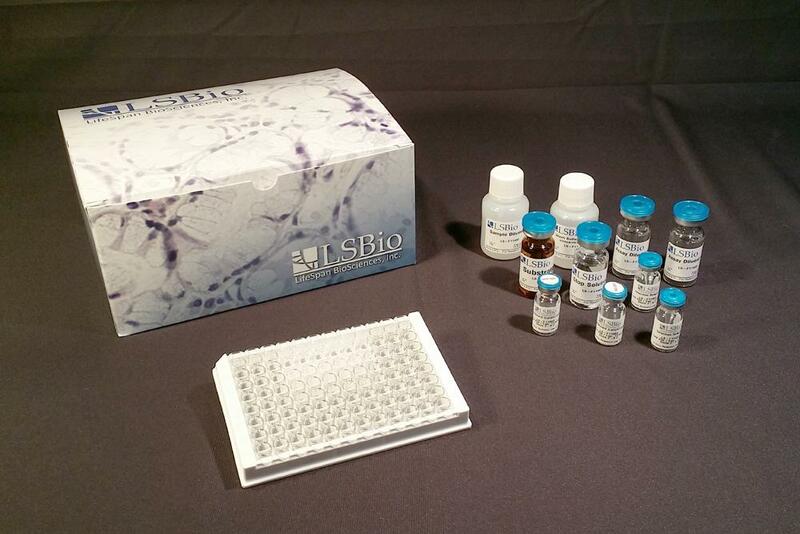 Due to their limited shelf life, LSBio ELISA kits are not typically stocked as finished goods. Upon receipt of an order each kit is assembled and tested to ensure that it meets specifications before shipping. Minor changes may occur to the Range, Sensitivity, and Precision. In the event of a significant change the order would be confirmed with the customer before shipping ELISA kit lot numbers reflect the date of final assembly and testing for each specific kit rather than a bulk manufactured lot. All kits are tested to confirm that they fall within their defined Inter- and Intra- assay coefficient of variation. This elisa kit carries the LSBio 100% Guarantee.